My daughter is moving into her own bedroom in a couple of months so I'm in full decorating mode. 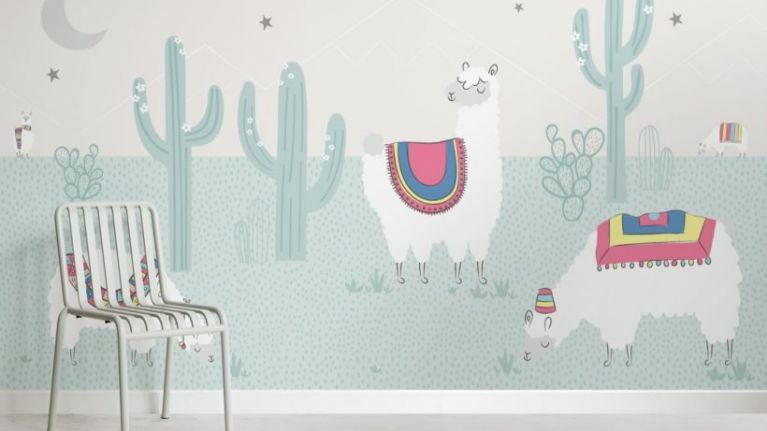 I love the idea of a mural wall but don't want to stick up cartoon characters or anything that will date too quickly as she grows and changes interests. While searching through Pinterest I saw lots of gorgeous animal prints and down the rabbit hole I fell. 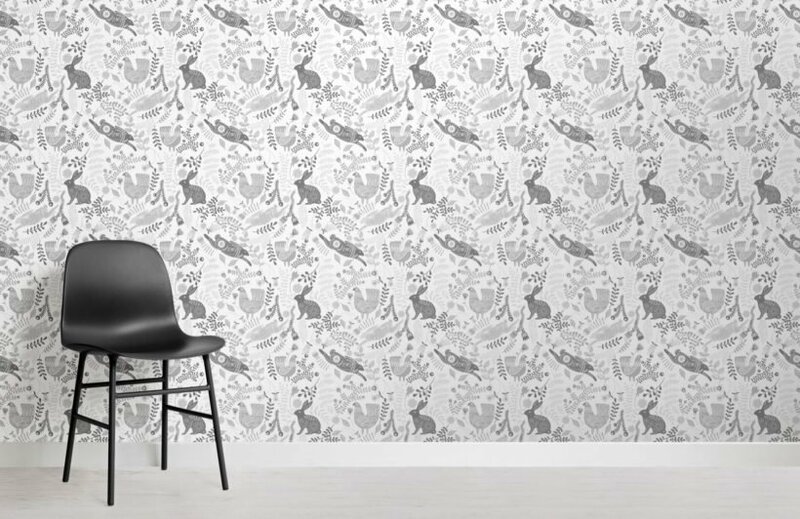 My daughter's name is Alice and grey is a great neutral base for adding pops of colour with furniture so this print is on my short list for her bedroom. 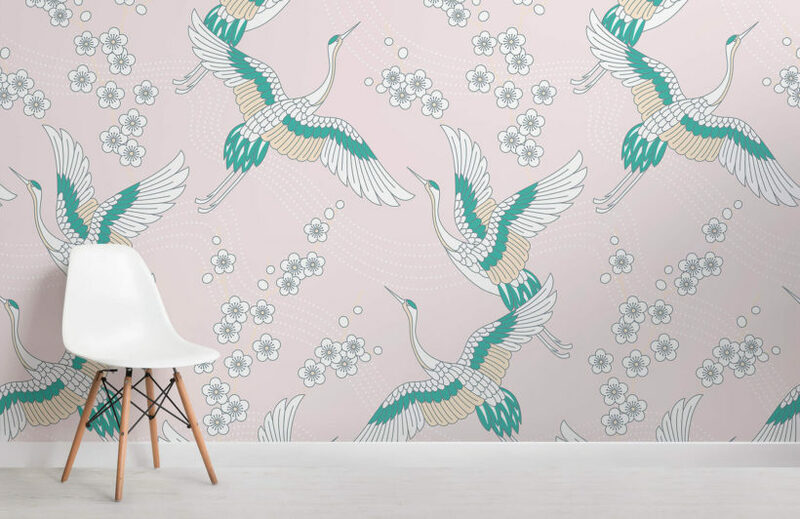 I found it on a website for mural wallpapers, but they have so many options it's going to be hard to make my final choice. I know so many adults, never mind kids, who would love this for their bedroom. Again it's a nice neutral colour so you can incorporate any colour or style of curtains and furniture around it. 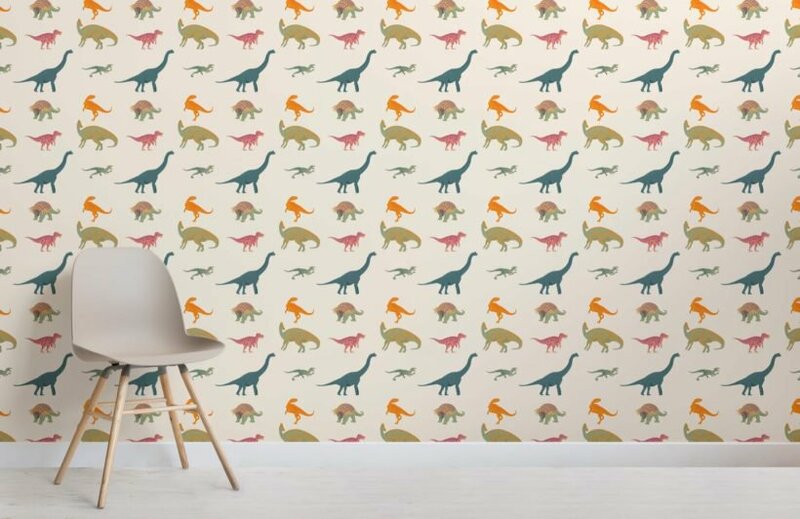 If your child is a fan of dinosaurs then they are sure to love this print. Cushions and throws is rich warm colours like forest green and mustard yellow would work perfectly with this mural. 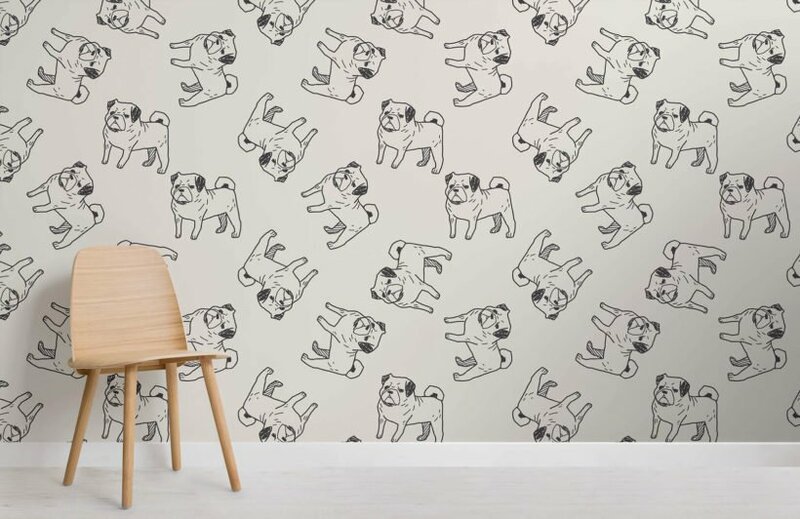 If you want to keep your painted walls neutral and have your print add the pop of colour this wallpaper is ideal. 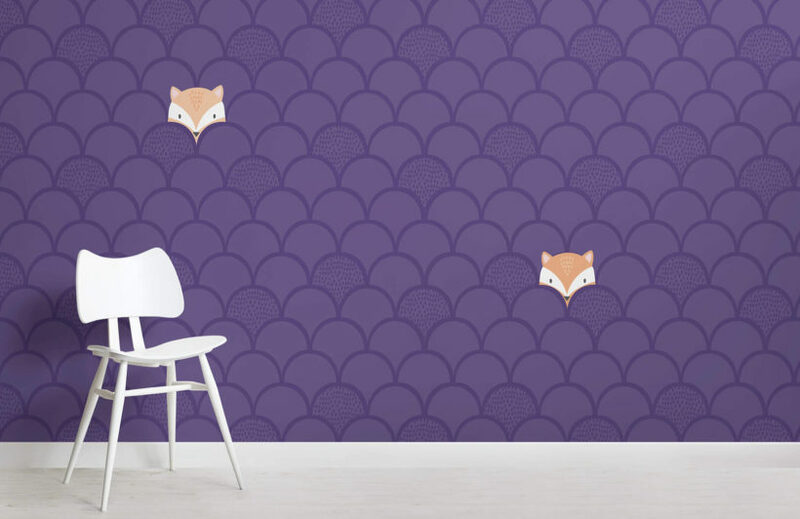 The purple will add warmth to any room and come on how cute are those foxes? 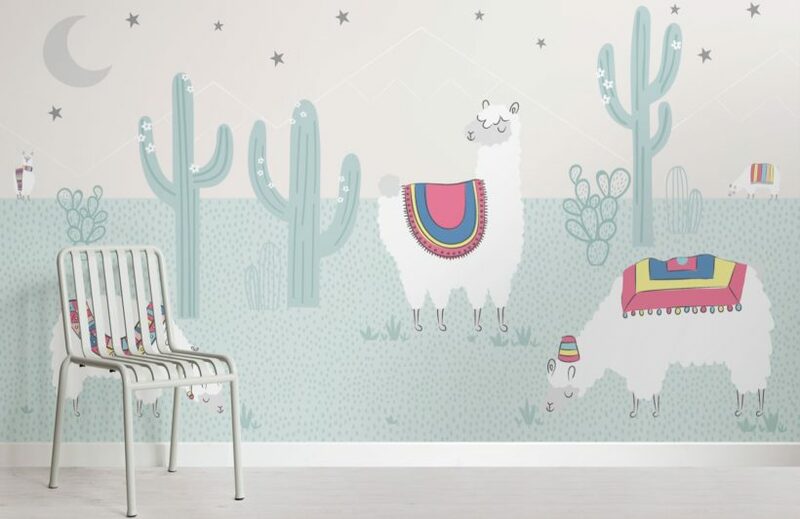 This one is also on the shortlist for my daughter's room as I just love the combination of colours. It adds a classic feminine feel to a room without being over the top girly. If you want to go all out though there can only be one choice. The Llama wall! This is so cute, funky and fun, I don't see any child ever wanting to take this down, unless they want to take it to college with them! All of the murals that I've featured are available from the same website and you can browse the full range here.